Southern's spirit shines brightest during spontaneous Bible studies on the Promenade or impromptu prayer groups that crop up around campus. It is also seen when professors pray or have a short worship before class, apply Christian perspectives to secular subject matter, and take time to encourage students with words of wisdom. It’s a natural part of Southern's package deal–caring for the whole person: mind, body, and soul. The Chaplain's Office is the spiritual heartbeat of the campus. Whether you need a word of encouragement or have an idea for a ministry of your own, the Chaplain's Office is the place to get actively involved in ministry. Whatever your gift, Southern has a place for you to serve, from participating in random acts of kindness to clowning around for Jesus, you can have a part in making life better on campus and in the community. Check out Southern’s ministry opportunities. 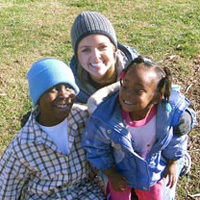 Experience a new culture while sharing Christ’s love with the world through Southern’s Student Missions program. Celebrate the coming Sabbath each Friday as students pack the church for one of the week’s spiritual highlights—vespers. After an inspirational program, you may want to enjoy music and prayer at After Glow or a cappella singing at HymnSing. You don’t have to wait until you’re on Southern’s campus to enjoy your first Southern vespers. 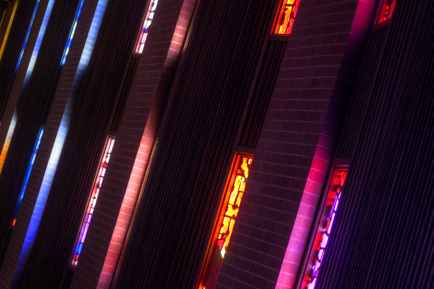 View live streaming of vespers at 8 p.m. on Fridays. With a variety of church worship styles in the area, you can find one that fits your needs. Collegedale Church currently has three church services: Adoration, a traditional service beginning at 9 a.m. and 10:15 a.m, and Renewal, a student-led church service beginning at 11:45 a.m. The Spanish American Church is located behind Summerour Hall. Connect, a contemporary worship service sponsored by the Collegedale Church, it is held in the Collegedale Academy auditorium at 11:30 a.m.